Senator Susan Collins returned to her private residence the night of Monday, Oct. 15, 2018, to see that her home had become the scene of an investigation. A spokesperson for the Republican Maine senator said that Tom Draffon, the senator’s husband, had received a threatening letter. The writer claimed the letter was contaminated with ricin, which is a hazardous substance. At the time, Collins was in Washington D.C., but her husband, the dog, and parts of her home had to be quarantined while a crime lab unit investigated the situation. The affected areas were cleared, and the couple was able to spend the Monday night in their home, according to Communications Director Annie Clark. The Bangor Police Department responded to a call at 2 p.m. Monday for a suspicious envelope delivered to the West Broadway home. The Bangor Police Department Crime Lab, firefighters, and a Hazmat team responded. The U.S. Capitol Police were leading the investigation, according to Betters. An FBI spokesperson confirmed that the preliminary testing of the suspicious substance has been completed. 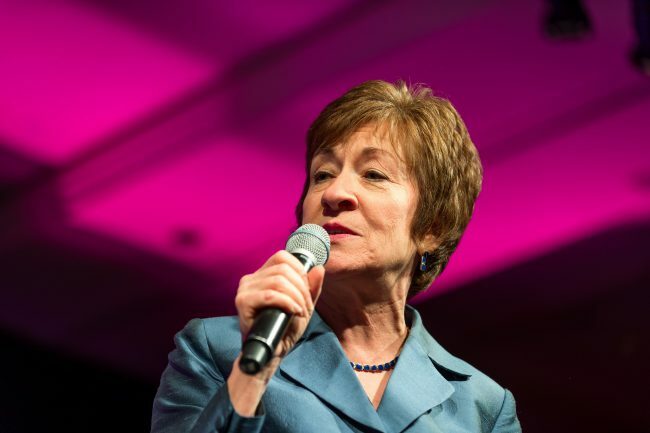 Monday’s incident is the most recent in a series of threats against Collins, her family, and her staff. The senator has drawn some bad press due to her vote to confirm Judge Brett Kavanaugh to the Supreme Court. The Bangor Daily News reported that Collins has had protestors outside her home since she voted in favor of Kavanaugh but has been able to live a normal life without increased security. The investigation into the letter, the ricin, and its origin are still ongoing. Preliminary tests indicated the letter was no threat to the public. These threatening letters have not been the only consequence to Collins voting for Kavanaugh. Collins’ alma mater, St. Lawrence University, is calling on university officials to rescind an honorary degree awarded to her for voting to confirm Kavanaugh’s seat on the Supreme Court. Over 1,800 alumni and dozens of faculty at the university plan to send letters to university officials on Oct. 16, 2018 demanding the college rescind the honorary degree given to the senator in 2017. Collins graduated from the small liberal arts university in northern New York, in 1975. Since then, she has received two honorary degrees from the college. Most recently, she received an honorary doctorate of Humane Letters. The faculty wrote that while their campus has come a long way in the years, since Collins was a student, to educate the school population about sexual assault and harassment. They are working harder to adjudicate it fairly when it does happen, however, they still have some hard work to do in and out of the classroom. Alumni and faculty have made it clear that they only want to revoke Collins’ 2017 honorary degree and not the honorary doctorate of law she was awarded in 1998. Collins was the final GOP holdout to announce her support for Kavanaugh’s nomination to the Supreme Court. Does she not have the right to vote without fear of punishment?